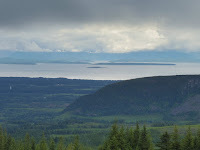 Welcome to Northern Vancouver Island! While many people enjoy the coastal BC towns of Victoria and Nanaimo, fewer venture north to the wilder parts of Vancouver Island. This 4-day tour will include hiking on an historic native island, seeing a sunken ship graveyard, visiting the site of a Japanese/Chinese coal mining camp, following boardwalks to pristine meadows and lakes, viewing wildlife and several waterfalls, a salmon cookout, as well as unforgettable views of the inside passage and coastal mountains. Cost of the 4-day tour is $200/person, which includes 3 nights comfortable lodging with private bedroom/bathroom, 3 breakfasts, 3 lunches, 2 dinners and your guides. Not included is ferry from the mainland, chairlift ride, transportation to trailheads, day 1 and day 4 lunch/dinners, or snacks and beverages of your choice. This tour is limited to groups of 4-6 outdoor enthusiasts. Day 1: Take the morning ferry from Tsawassen to Duke Point. Meet at the dock in Nanaimo for fish and chips. After lunch we will take the short ferry to the native-owned island of Newcastle. Here we will hike 4 miles around the forested island to see old mining artifacts, impressive sandstone cliffs, the old dance hall and wonderful ocean views. We will drive an hour north to the beach at Royston to view the 14 iron and steel-hulled ghost ships placed there in 1936 to create a breakwater for logging operations. Dinner will be at the Cumberland Brewery, with a stop at the old Japanese/Chinese coal mining town site. From here we will head up to our 3-bedroom creekside condo at Mt. Washington for sunset views and a good night's sleep. Day 2: Breakfast on the deck with views of the mountains and glaciers of Strathcona Provincial Park. 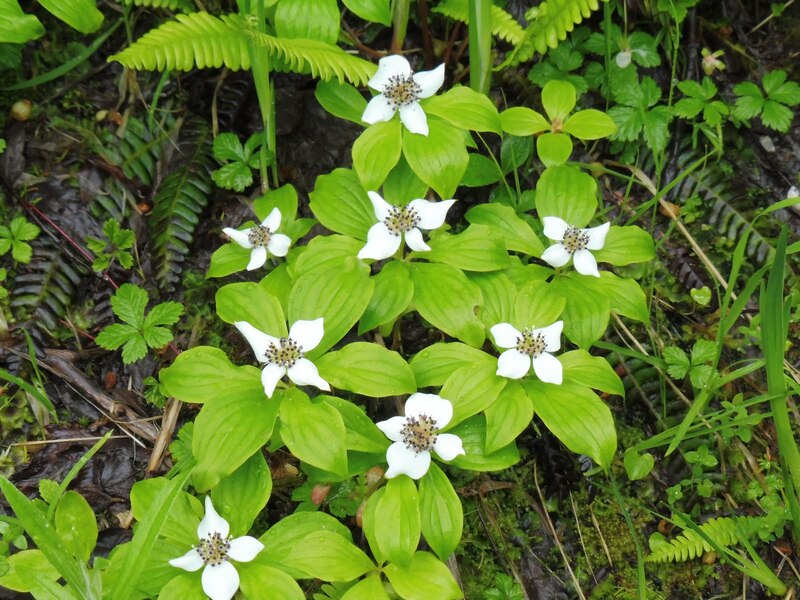 We will head out the condo door to take a leisurely 3-mile hike along the boardwalk through Paradise Meadows for lunch at Kwai Lake, possibly spotting resident eagles, white-tailed ptarmigan, deer, bear, wolves and beavers. Option to hike 1.5 miles further, past several more lakes, to the spectacular Cruikshank Canyon Overlook. In the late afternoon, we can hike a short distance to the ski lodge, with the option of taking the chair lift or hiking to the top of Mt. 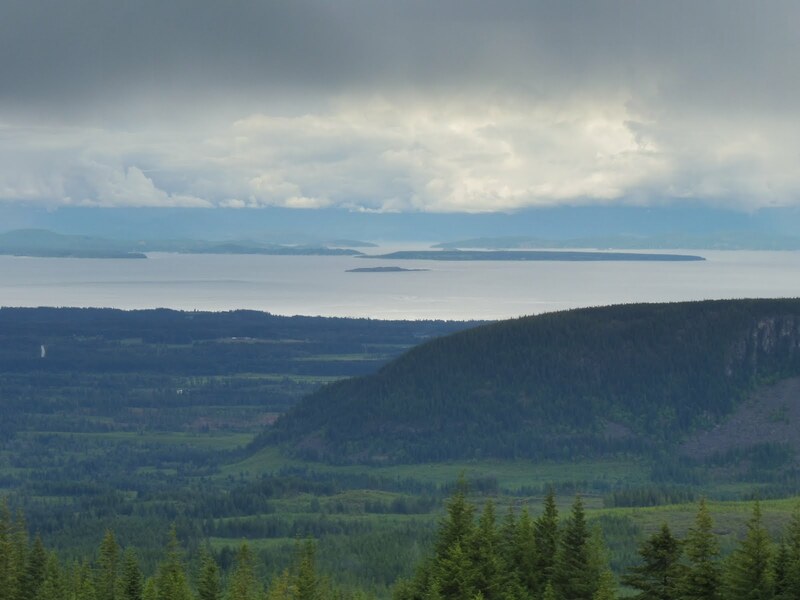 Washington for excellent ocean views, and meadows and lakes surrounded by lupine, foxglove, dogwood, paintbrush and adundant blueberry/huckleberry. Dinner at the condo with a slide show of photos of the area. Day 3: 4-mile morning hike along a gravel road to a 1960s copper mill site and waterfall with great views of the inside passage and islands. Then to Anderson Lake to see prime wolf habitat and watch native trout jump. We will hike past a beaver pond to a small cabin on a hill to cook up some salmon over a campfire, watch for signs of wolves and enjoy a glass of wine with the sunset. We will return home for fresh blueberry pie and ice cream at the condo. 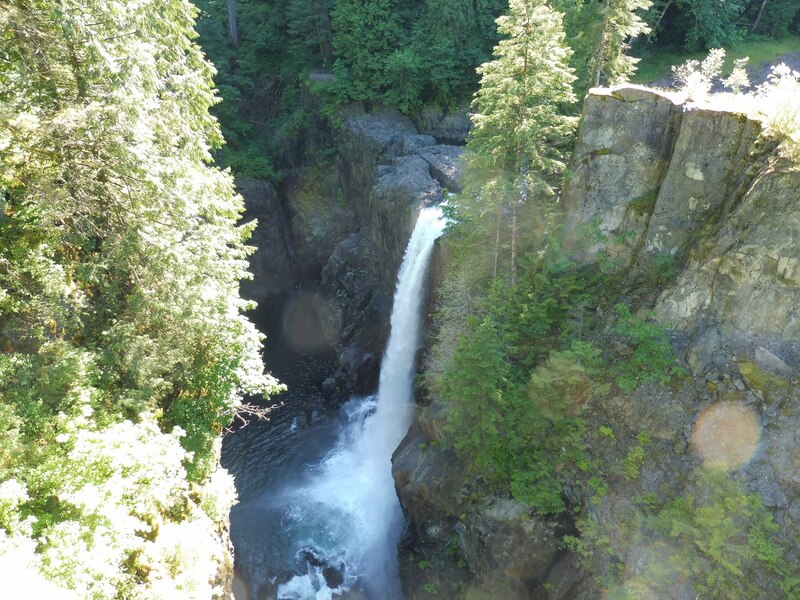 Day 4: Drive to Campbell River for a 5-mile hike along the coast to Ripple Rock and another short hike to view Elk Falls on the Campbell River. 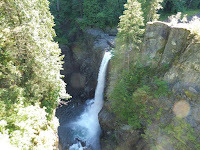 Option to hike to Horne Lake Caves or Comox Lake before departing for Nanaimo. We hope you’ll return home invigorated by good company, the island air, the spectacular scenery and completing over 25 miles of great hiking.